I don’t know if you are familiar with the poem ‘Silver' by Walter De La Mare but it really is a lovely piece of verse; that describes a magical, silent, fixated sort of journey. Filled with images of nature with streams trickling by and the prospect of faeries lurking and hunting in shadows, it is quite a favourite at home. However, for some very strange reason, the opening line has been resonating through my head a lot of late. The last time it happened was when I was up on a blustery hill, up in Perthshire, Scotland; with a small band of people. Some camouflaged. Some not so much. This was in daylight, rather than at night, so it didn’t really make much sense to have all this racing through my brain. But I think the climb was beginning to take it out of me. What with the lack of oxygen at 2000 feet and my general lack of fitness. However, I’d say that the stunning scenery also had something to do with it. Glen Lyon is a beautiful place. Bleak by some turns, yet magnificent with the sun comes out. The views were all totally captivating. Then suddenly, I heard a whisper. Yes, when you go deer stalking, it does pay to pay attention to these matters. The last thing you want to do is to niggle a highly qualified marksman on a hunt. Especially when he has got a gun and you can barely see him. But this was just a small soupçon of knowledge that I gained on a trip up the road recently, organised by Sainsbury’s, to learn more about the burgeoning demand for venison in the UK. The reasons for this are two-fold. 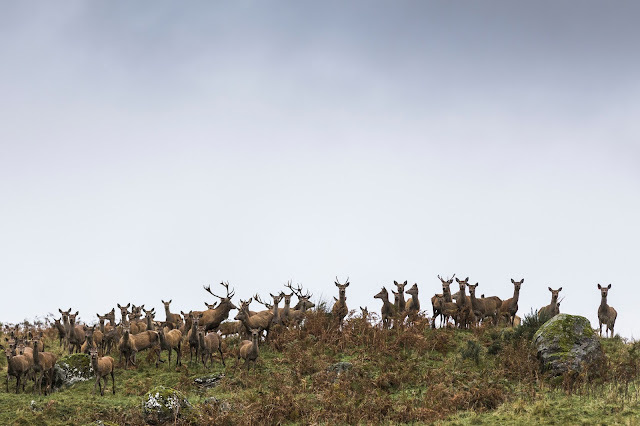 Firstly, the deer population in this country is estimated to be approaching the 2 million mark and whilst this all sounds good for the deer, the resulting impact on the countryside can be devastating. Swollen herds can have a massive impact on farm crops and natural flora and fauna alike. Not forgetting to mention that a large percentage of roaming deer are responsible for road traffic accidents. So, culling must take place, to protect the balance of the eco-system and to also keep the population healthy. 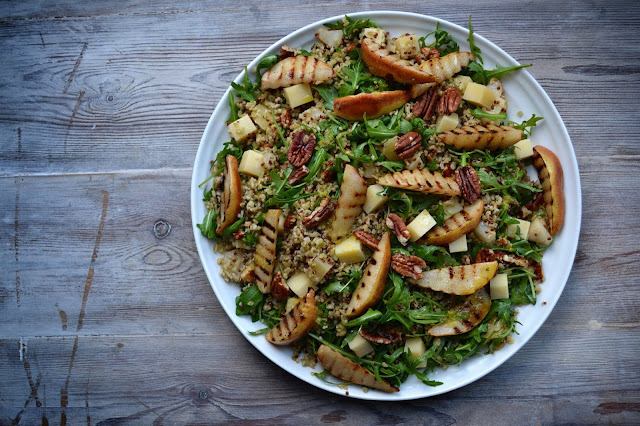 This is turn moves onto the second aspect, which ties into a growing interest the UK, for ethically sourced meat that is also healthy and low in fat. In a similar vein to say, Cabrito and billy goats, it makes no sense to simply waste this huge resource. Especially since the meat that wild deer yields is about as free-range as you can possible get. And given that more people are beginning to adopt a flexitarian approach to their diet, the notion of buying quality protein, over cheap farmed meat, has become more and more popular. Hence Sainsbury’s seeing a 13 per cent increase in sales. I utter the word ‘flexitarian’ through gritted teeth by the way. But even this old stag must admit, that times are a-changing. Coming back to the hunt, which took place on the Glenlyon estate, owned by Iain Wotherspoon - who does a fine line in plus fours, I am not sure if I could carry the look off - prior to us setting off, there was a certain degree of apprehension cutting through the air. Not so much to do with the deed itself. More down to the fact that taking a large group out on a deer stalk is counterintuitive to the task in hand. Ordinarily, Graeme Gallimore, the estate’s Head deer stalker, will go out alone or in a pair. 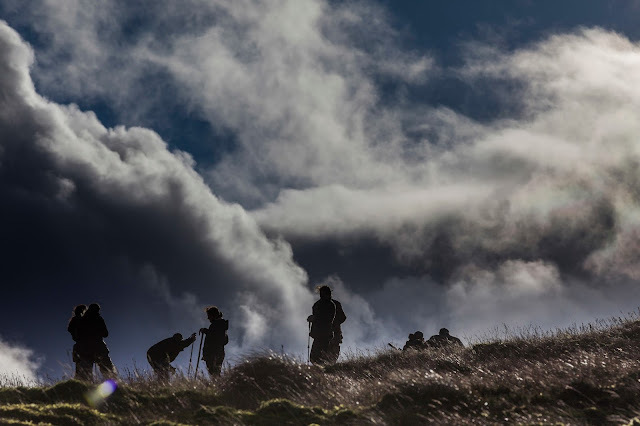 Having nine people follow in his every footstep evidently struck him as absurd but having only been out in the hills for a short time, he quickly spotted our quarry and the whispers began once again. The Julien he was referring to, was none other than Julien Pursglove - Master Butcher, Technical Manager for Sainsbury’s and who’d have thought it, licensed marksman, with a list of certifications as long as my arm. It was Graeme’s job to get him into position and then Julien would aim and pull the trigger to make the kill. Yes, the grizzly end. But during our earlier briefing, Julien explained the whole process and that it wasn’t simply a case of shooting at will. He would have to assess the terrain, identify the nature of the herd and focus specifically on an area of the animal – the chest cavity - that would ensure an immediate death. If Julien couldn’t tick all the boxes, we would have to move on. We waited for what seemed like an age and then a pop rang out in the distance, before the radio buzzed, confirming the kill. After we walked around to find them, Julien calmly and quietly spoke some words that immediately dispelled the nature of the scene in front of us. Which seemed like a simple statement, but as he got geared up in rubber gloves and began the ‘gralloching’ it was an important one to make. Certainly, the business of immediately eviscerating an animal’s bowels is not one for the squeamish. But this basic ‘field dressing’ - to prevent contamination and to quickly cool the body down - did highlight the next stage and a transformation into product for our consumption. And for whatever scruples you may have, I personally believe that if you eat meat, this is something you should respectfully acknowledge. Or be aware of at least. Having succeeded so early in the day, it was then decided that we should continue and at one point it did look like another deer would be coming back home with us. But I’ve got a sneaky suspicion that Graeme just wanted to tire us out. By making us walk for miles and miles, up and down hills, until we started to hallucinate and gently weep. Back at the estate, we were then taken to the cold store, where the next level of ‘larder dressing’ took place. It was here that the deer was skinned and broken down, with an inspection of major organs for disease. Graeme took great care of this part and again, it was an important process to witness. Within a matter of hours, this deer now resembled a carcass that you might seeing hanging in a butcher’s window. Perhaps too soon for some, what followed in the evening was a meal of venison, using some of the range that Sainsbury’s feature on their shelves. 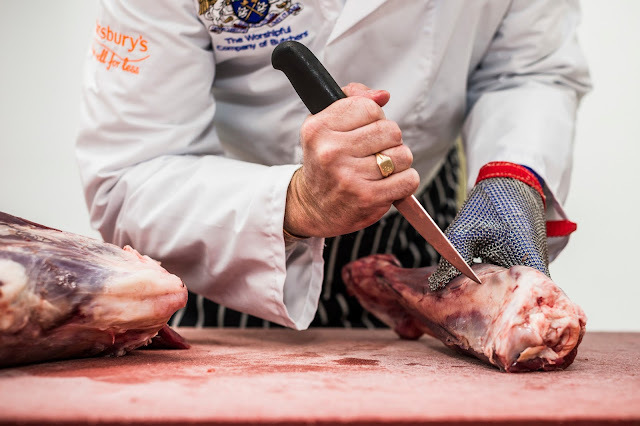 Along with some main joints and cuts, provided by Nigel Sampson of Holme Farmed Venison; a rambunctious character who acts as an intermediary, processing and providing both wild and farmed venison for Sainsbury’s. 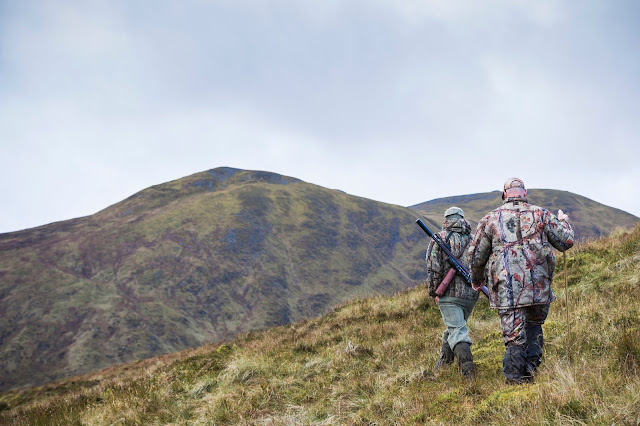 Nigel had also been out on the stalk with us, wandering out into that dreaded skyline and it was good to soak up some of his enthusiasm at the table. ‘The great thing about venison steak is that it doesn’t shrink in the pan! In fact, it grows!’ was just one of his pearls of wisdom. To be fair though, the big sell was largely down to the execution of chef, Chris and his wife Rachel, who had been drafted in from Ballintaggart Farm to prepare our feast. After sampling Sainsbury’s Taste the Difference range of venison steaks and sausages, all paired with innovative sauces and chutneys, we soon moved onto venison carpaccio, venison stew and roast haunch and succulent pan-fried loin – a cut that has been introduced specifically to their Christmas range this year, due to the meat’s popularity. And I must say, Chris absolutely nailed showcasing the meat’s versatility. So much so, that by the end of the meal, I started to proclaim plans to feature venison as the star of our Christmas dinner. Rather than going for turkey or say, rib of beef. However, I should profess this was also in part to Iain handing me a tumbler of whisky, two fingers thick. And I’ve got thick fingers. Part of the conversation also steered onto managing expectations, due to this new-found demand for venison. Was there enough wild deer to go around? The response was that farmed deer is now having a larger, integral part to play. Which on face value sounds disheartening but having seen the programme that Iain is developing at Glen Lyon, with regards to rearing deer, the defining lines between wild and farmed are blurred. For even farmed deer have vast swathes of land and parks to live and graze on. The biggest cost is investing in the miles and miles of high fencing to contain them. By way of proving the popularity of venison further, before returning home, we stopped off at Downfield Farm, owned by Bob and Jane Prentice. 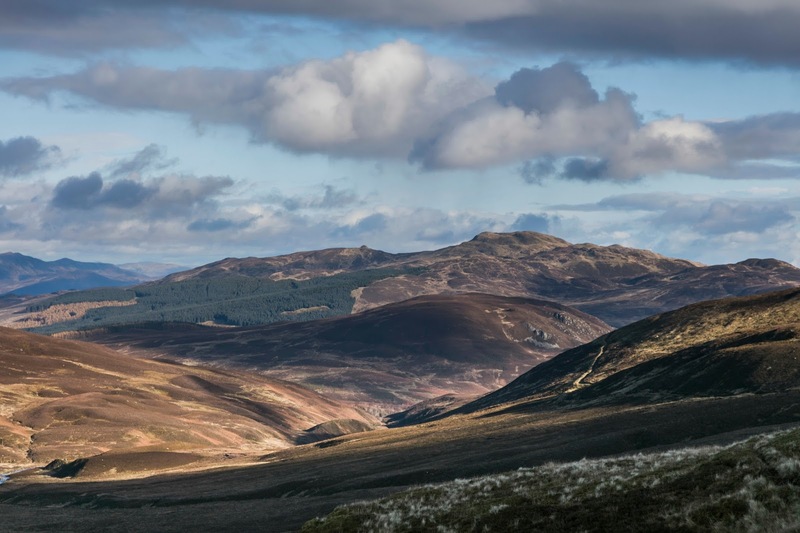 Situated in picturesque Fife, amongst a strong agricultural belt, the farm is home to Scotland’s first deer abattoir. Having previously been in dairy, Bob spotted an opportunity that coincided with this rise for deer meat and has seen capacity increase year upon year. As a result, he has now added a facility to process wild deer carcasses, that come down from all the estates and parks in Scotland. Julien Pursglove leading a venison butchery demonstration at Downfield Farm. 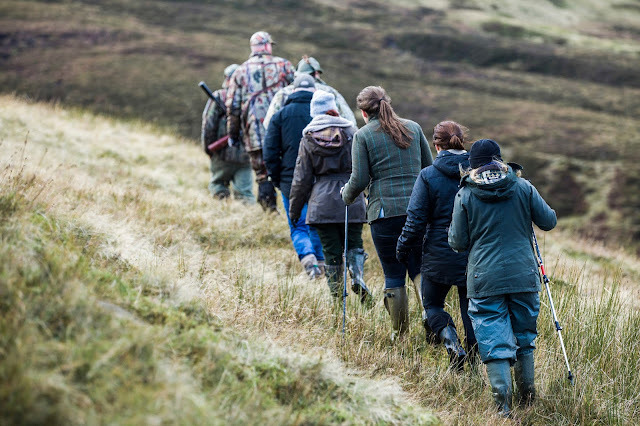 The singular message then is that demand for venison is on the up and having seen the operation in its entirety, it is easy to understand why. 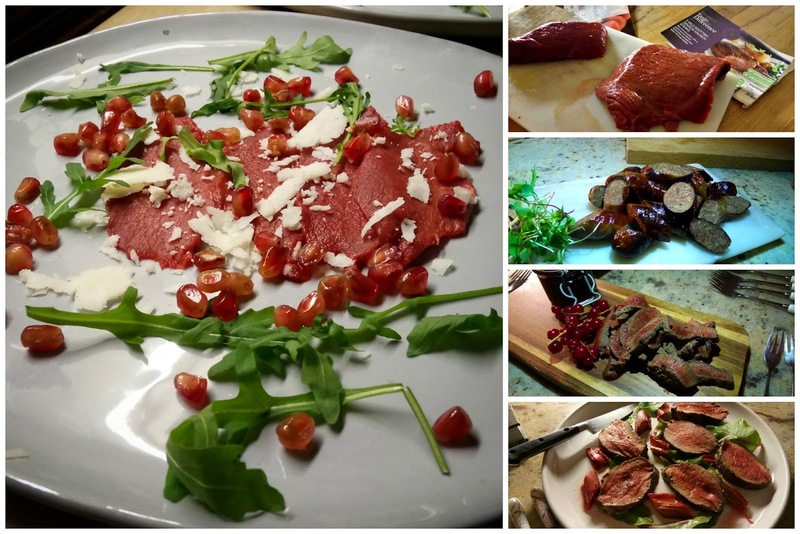 It’s a small snowball but consumer choice is steadily becoming weighted towards provenance and sustainability these days, as well as quality and taste, and I can see how venison falls well within this category. Sure, there are some past and present associations, of Kings and Queens and of venison being the preserve of the privileged. Once you get through all that - the tweed, the formality of nips on the hillside, the blaaady tradition of the sport - there is a lot to be said for buying and cooking with venison. Just make sure you keep off the skyline.